So far, The Walking Dead has largely used the comic’s gang of miscreants TheSaviors as targets for violent extensions of Rick & Co.’s sense of vengeance. There was the exploded group from the midseason premiere, and the group that was annihilated during Sunday night’s episode. But we have yet to see what became of old Dwight, who pissed off Daryl in every way imaginable earlier this season, and there was a moment in “Not Tomorrow Yet” that has me thinking we might soon reconnect with Dwight, and that he’ll be a lot closer to his comic book counterpart this time around. The moment in question came near the end of the episode, when the assumption that all was quiet on the Savior compound front was disrupted by the member that came tearing across the grass on Daryl’s motorcycle. Daryl was understandably flummoxed by the reemergence of his favored transport, and the fleeing gang member was soon taken care of. But there was no sign of Dwight anywhere at the compound, neither consciously breathing nor with a knife sticking out of his skull. Now, we know the Saviors caught up with him, since the motorcycle was there, so they either turned him into one of those disgusting photographs on the wall or they gave him a less stern punishment. 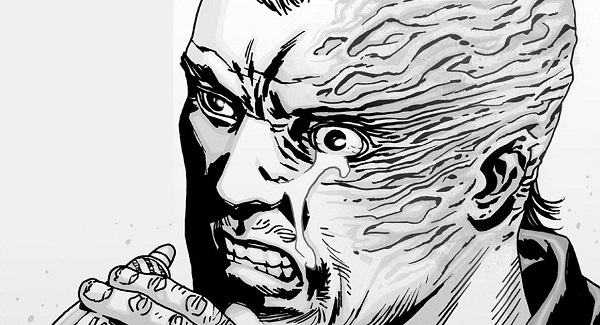 Those are basically the only options, since Negan does not run the kind of camp where hotfooting is easily forgiven. Yes, the comic version of Dwight got permanently disfigured over Sherry, Dwight’s ex-wife and Negan’s then-current “wife,” but that’s hardly a detail so unforgettable that it can’t get altered for the show. Because it would be fantastic for Dwight to be brought back out again with the reveal that he’d been damaged. Though Comic Dwight initially seems like he’ll just be a mindless minion, the former solider has gotten his fair share of character development, and his arc is one that could work well in live-action. No use going into what all that entails, since it could all come into play soon enough. The positives of having Comic Dwight in the series aren’t even just tied to getting to see that character stake out his place in the television world. This would also be a striking visual that would constantly remind viewers that Negan’s arrival is imminent, and how horrible that is for everyone. We’re slowly being led to believe that this guy is the biggest monster on Earth, and there are few harsher calling cards for that claim than a guy who looks like he fell asleep on a panini press, only you know it had nothing to do with sandwich gadget accidents and everything to do with a tyrant’s message of no tolerance. 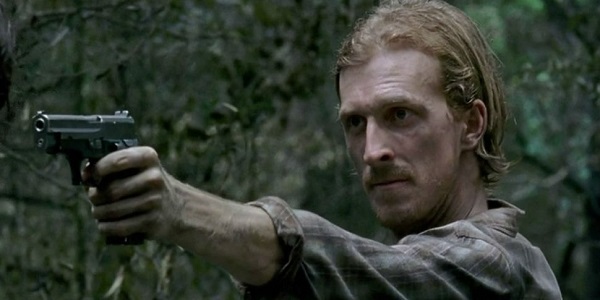 Of course, next week’s episode might very well kick off with one of the Saviors saying, “Boy, I’m glad we killed that Dwight guy and are certain that he’s not still alive.” Or maybe it’ll be revealed that Dwight “leaving” the Saviors was just a lie to fool Daryl, and he’s just fine. But I’ll still be over here hoping a gruesomely wrinkled face will still appear at some point. And check back with Cinema Blend for more Walking Dead in the coming weeks.